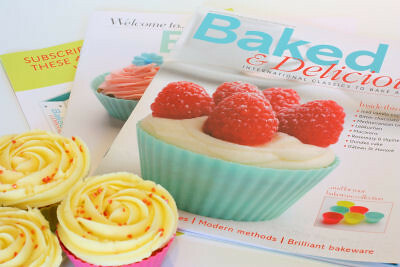 I was recently sent a copy of a new magazine called Baked & Delicious to read and review. As well as scrumptious recipes, the fortnightly magazine comes with bakeware that you can collect to make popular recipes with. All the recipes in the magazine are accompanied with full colour photographs, and some recipes also have step by step photographs. The magazine is divided into seven sections for easy reference and accessibility, including classic cakes, celebration cakes, breads & savouries, patisserie & fancy cakes, and better baking. 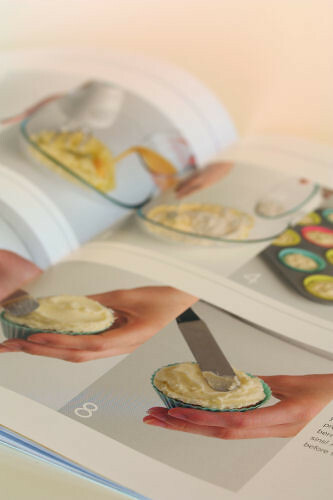 The pages are well laid out - with a coloured panel for the ingredient list, baking times and equipment needed. The recipe instructions are numbered and there are cook's tips, plus variations, for some of the recipes. 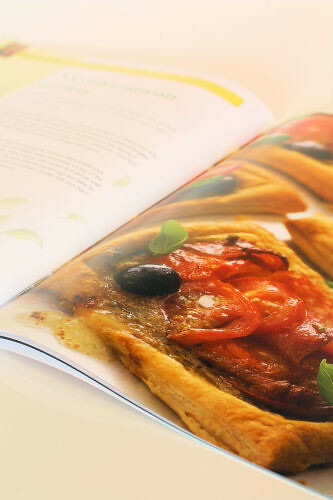 The first issue has 8 recipes, including macarons, Mediterranean tartlets and a Dundee cake. 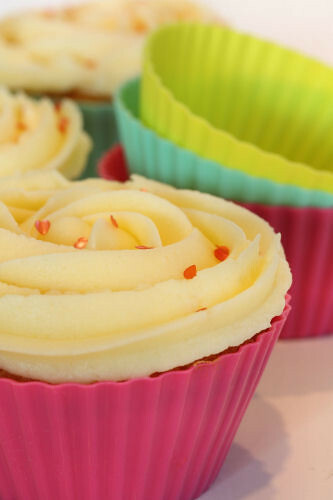 There is a feature on how to make choux pastry and there's also a vanilla cupcake recipe so you can use the 6 silicone cupcake cases that come with this issue. Issue 2 comes with a free silicone brush and spatula, issue 3 has a free silicone loaf pan. You can subscribe by going to the Baked & Delicious website. You will also receive 4 free gifts with your subscription, which are: a binder to hold the magazine collection, a cake slice, a set of three cake tins and a set of electronic kitchen scales. Baked & Delicious is available from March 2011. As a baking addict, I will have to check this out! I didnt know about this magazine, i love when i magazine have pictures about the dishea they make. Will check it out. What a great review od this new magazine!! It looks like a cool & fab magazine! Your cupcake is looking like a winner, Nic! What a fun concept to include baking equipment with the magazine. Great looking cupcakes. You should be IN the magazine! 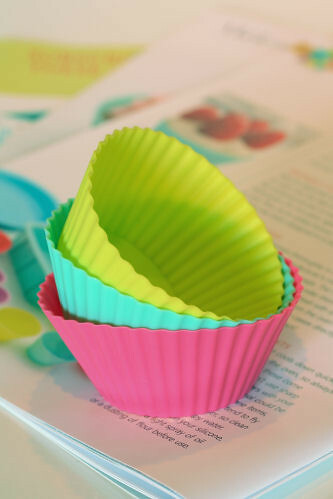 The cupcake moulds are quite thin, and I can see why you would be concerned about the upcoming products given away with the magazine. Love a good cooking mag, and this does look perfect! Free gifts make it even better!